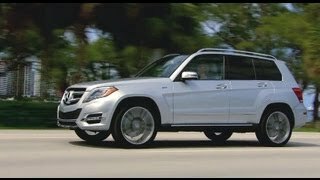 The Mercedes automaker is set to publicly announce their latest GLK-Class model for the US market this summer, on April 4th to be more exact, so without further ado, let's take a closer look at what the Mercedes-Benz GLK-Class 2013 has in store for us. 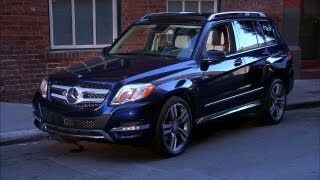 First of all, the US version of the Mercedes-Benz GLK-Class 2013 will come with two engine variants, the 2.1 liter turbo-diesel four-cylinder BLUETEC engine able to produce 204 horsepower and 368 lb-ft of torque, and a 2.5 V6 liter engine developing 302 horsepower and around 273 lb-ft of torque. Mind you, although the 2.1 engine might seem a bit small for an SUV, the folks at Mercedes claim that the ECOTEC is the most powerful 4 cylinder diesel engine in the world at this point.Paired with either one of the two engine variants comes a 7-speed automatic gearbox which will send the power to the rear wheels on base models or to the all four wheels as an optional extra. 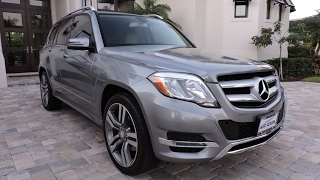 On the outside, the Mercedes-Benz GLK-Class 2013 has received a facelift featuring a new redesigned front end, a new rear bumper, a pair of headlights sporting LEDs as well as and a couple of slicker taillights. The profile of the car will differentiate itself further from its previous models through three new sets of wheels, measuring 17, 19, and 20 inch respectively. Although the exterior of the Mercedes-Benz GLK-Class 2013 hasn't gone through any major changes, on the interior, there's a whole other story. The dashboard has been completely redesigned, round air vents are now replacing the older ones, a new multifunctional steering wheel featuring shift paddles as an optional extra has been fitted and a premium 4.5 inch color display sits in the instrument cluster. Furthermore, the seats have been redesigned as well, the Leather Seating package includes interior LED ambient lighting, heated front seats are part of the base model, whilst the front passenger seat with memory and comfort headrests are optional extras. As far as pricing goes, there's no official word on how much will the Mercedes-Benz GLK-Class 2013 cost on the US market, but in Germany, the base price of the Mercedes-Benz GLK-250 is roughly $61,000, and that's not far from what we should expect in the US. 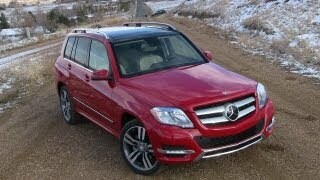 I suppose we'll find out soon enough, as Mercedes will publicly announce the Mercedes-Benz GLK-Class 2013 on the US market on April 4th.